Glued together bunch of part before starting preparation work. Then filled in most of seams and plastic injection pin marks. Tamiya injection plastic parts are amazing, but it seems that big number of pin marks is a necessary price to pay for that. Some more seams to fill then parts should be off to priming step. I have too many builds of multimedia kits at present. Need to have one easy build of plastic kit to keep me sane and motivated. 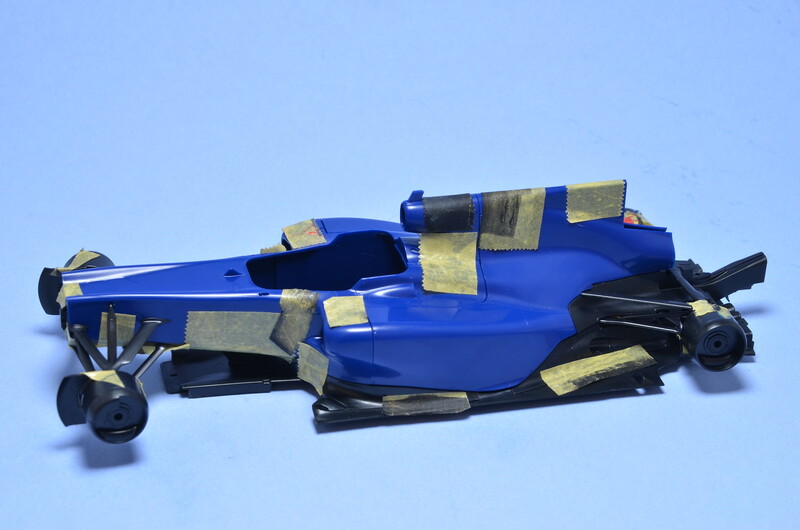 Started my own conversion of Tamiya RB6 into STR5 car. So far, just removed most of the parts from trees, done test fit assembly. Next I've started to glue together some parts, which should be put together before surface preparations start. 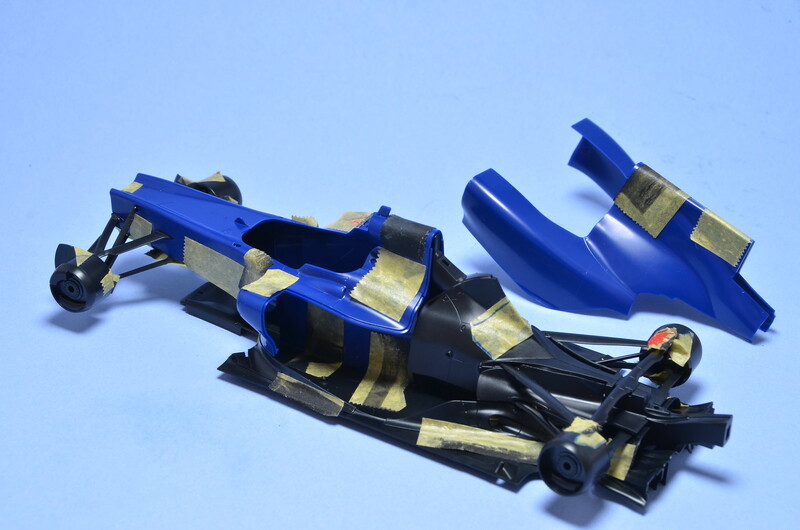 Tamiya kit fits together very well, as usual. Major challenge will be engine cover. 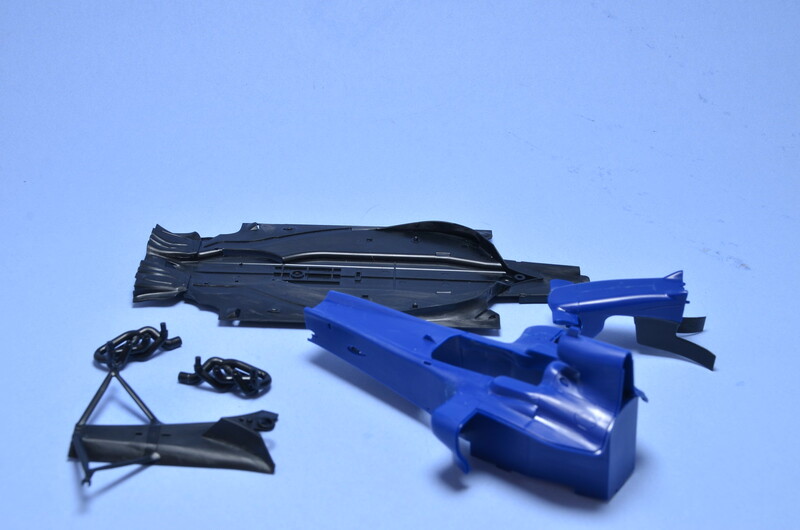 Plan is to use parts from Studio27 Monaco trans-kit. 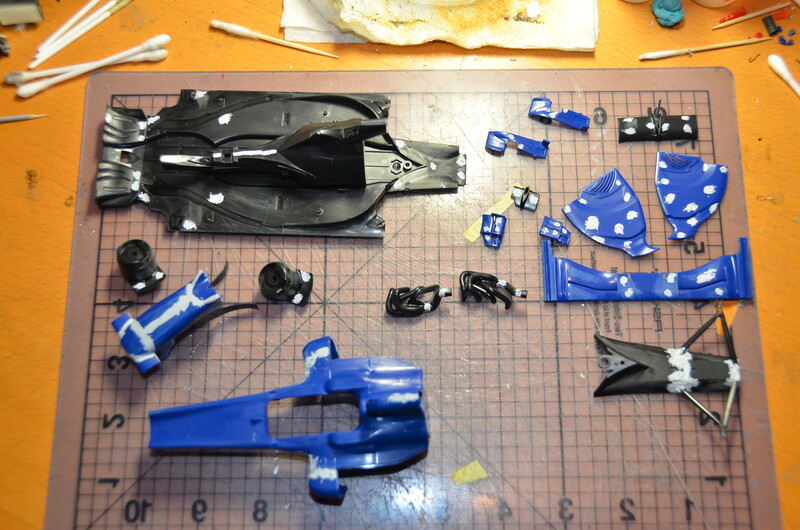 However that requires a "surgery" on kit parts and then I have to re-assemble kit parts with resin insert from S27. Unfortunately S27 didn't make any kind of guides or slots or anything to help align parts. I hope to be able to use mocked up chassis and engine/gearbox sub-assembly to help me align engine cover parts for gluing.